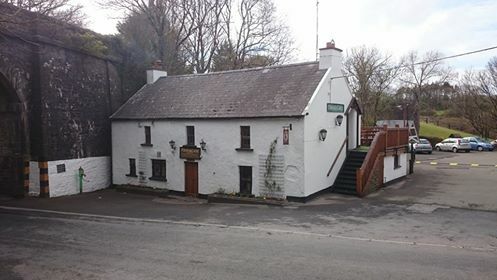 Jack Meade’s is one of Waterford’s, if not the country’s, most popular pubs/restaurants. Like all businesses it has had to adapt and diversify to remain viable, and given that it’s over 300 years old, its seen more than a bit of change down the years. James Guest, (how’s that for a landlords name) and his son John were running the pub in 1721 and the family lived on the premises. The last of the family recorded here were the brothers Robert and James Guest who dropped their lease in the 1770’s. Despite searching high and low, I couldn’t find any other references to lessee’s until the mid nineteenth century. At that stage, in 1857 to be exact, the pub was being run by John Curtain. Although it is now more commonly known as Jack Meades, for years the name Half Way House was associated it. 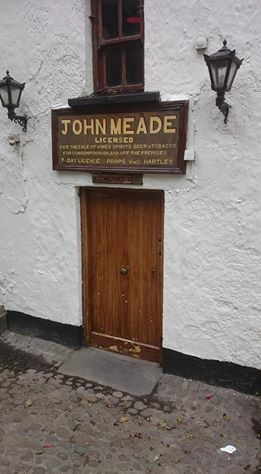 When I was growing up the pub could be referred to interchangeably and without confusion as “Jacks”, “Meades” “Mades” or indeed the “Half way house”. The place name of half way house is a common enough one, and designated a stop off point in days of old when carriages, carts, joulters, jarveys and so many other horse driven transports plied the busy road to Passage and Cheekpoint. 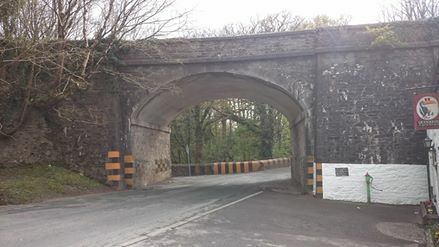 Until the bridge was built the main road to Passage continued along the Cheekpoint Road to Strongbows Bridge and then diverted up Carriglea. I’ve written before about how as a child the lure of the areas was Willie’s agricultural contractor business and all the shiny tractors on show as we passed on the Suir Way Bus service. Back then the pub was little more than the older building with parking for a few cars. All that changed however when Carmel and Willie with the help of the ever present Mickey Mac, began to reclaim some of the bog for car parking to accommodate the growth in business. In my late teens and early twenties it was the only place to be on the weekend and many was the high, and a few lows, I had there. After 50 years of living with the geographical feature that is the meeting of the Three Sisters, you might think that I would take it for granted at this point. Truth is though, I can’t ever remember a time that the rivers fail to interest me. Ever changing and always with some activity occurring around it, it’s either been a central feature to my days or a beautiful and appreciated backdrop. Of course leading walking tours in the area, the uniqueness of it is reminded to me by those visitors who view it, especially for the first time. The reaction seems more pronounced from those who walk from Faithlegg House, along the Glen and through the Glazing Wood. 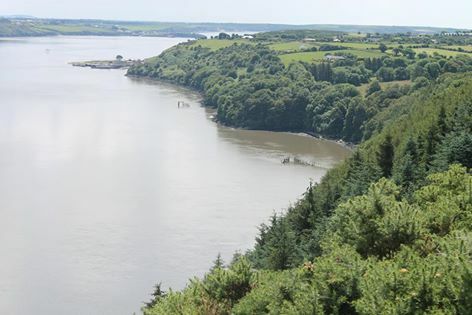 I guess its because they have been sheltered and teased by fleeting glimpses through the forest of the River Suir passing 200 feet below them, which will collide with the Rivers Barrow and Nore at Cheekpoint, and then flow as one out the estuary to form Waterford Harbour. These days when people talk about coming to Cheekpoint it’s to get a meal at McAlpins, to visit the wonderful playground, do shore angling or play a round Faithlegg Golf Club. But there was a time when it was the scenery, the views and the meeting point of the rivers that drew people here. Numerous reports from older newspapers and travel writers give a sense of why. Cheekpoint: This is a favorite little retreat now on Sundays. On last Sunday it was crowded with boats of all kinds and sizes, amongst which we observed Alderman Davis’s, Mr P. Galwey’s, the Messrs Murphys’ Mr F Kavanagh’s (with music), Mr J Mullowney’s, Mr S Allan’s, and Mr E Campion’s neat crafts and many others now not remembered. The hospitable mansion of Mr Patrick Tracey, so comfortable situate, and in which is to had such right good cheer, was crowded to overflowing. The day was beautifully fine, the waters of the rivers calm and limpid, and the gorgeous scenery by which it is surrounded, could hardly be excelled – if at all equaled – on the banks of the Rhine. A view from Cheekpoint is well worth the labor of ascension – you behold from it at least five counties-namely Waterford, Wexford, Kilkenny, Tipperary, and Carlow; you witness from it the delightful mansion of Snow Hill, Belview etc, and beneath you, you witness the magnificent residence of Faithlegg, with its thickly studded woods, its beauteous walks, and its sloping dells, where by and by, the Incumbered Commissioners need never expect to place their fearful hoofs. From the hill can be seen Dunmore, Brownstown Head, the unrivaled bay of Tramore, and even the unmovable Metal man himself. From it may also be witnessed the fine stately old ruins of Dunbrody Abbey, with its stately tower and ivied turrets, a standing monument of Irish genius and architecture and an unfading emblem of Ireland’s imperishable faith…All of these things may be seen from the hill of Cheekpoint, and many of them from Mr Tracey’s table d’hote. The same paper has, under a heading of pleasure trips, news that the Young Men’s Society band will travel to Cheekpoint on the following Sunday, in a piece dated July of 1861, Unfortunately I could not find a follow up report. In the 1770s it was the renowned travel writer Arthur Young, and I have mentioned his thoughts on the area previously. I’ve also mentioned when the Barrow railway viaduct was opened in July 1906 by the Lord Lieutenant of Ireland, the the special event train, stopped for a time on the bridge to view the meeting point and absorb the feat that the construction project was. I first heard about the press gang menace while fishing for salmon in the river as a child. The story was introduced, like so many others by my father, in a dramatic way. We were drifting on the ebb tide at night, off Ryan’s shore, when we heard a boat rowing towards us. “If this was the Napoleonic wars I’d have had to throw you over the side for your safety” he stated. I didn’t get a chance to find out why as Maurice Doherty and Jimmy O’Dea came alongside for a chat, before rowing off again to set nets in on the Point. After they left I was keen clarify how throwing me overboard, was good for my health, something I had dwelt on while the three men chatted about matters fish. Press gang, was his answer, The press gang were legalised kidnappers who had operated in the harbour and they boarded merchant men, fishing boats and even raided villages like Cheekpoint, he told me. 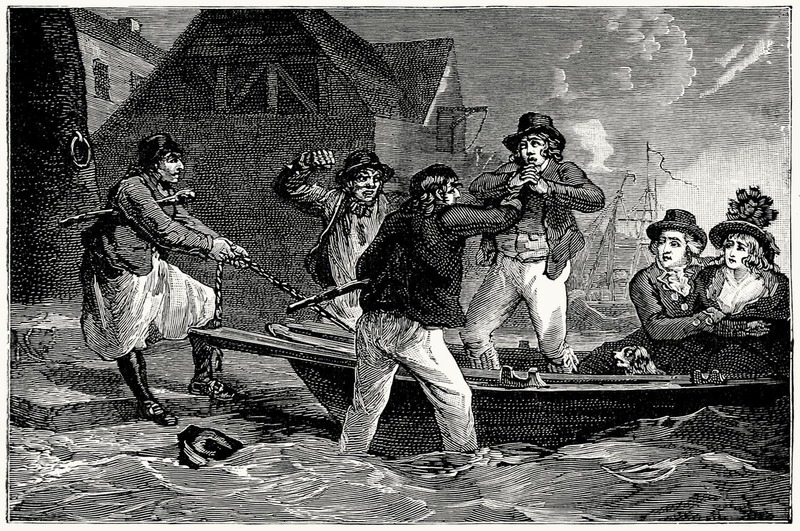 They came in search of young men, who were bribed, lied to or knocked over the head and when they awoke, found themselves at sea, in the employment of the English Navy. I have to admit I thought it was a tall tale until I came across their activities in a history book. 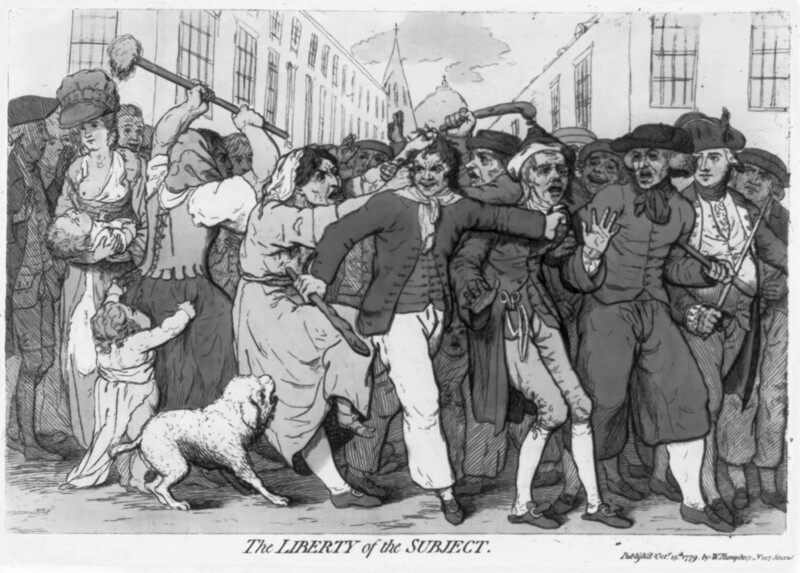 The practice of Impressment was an ancient one, being mentioned in the Magna Carta. It was more common in times of war as competing interests vied for crew. During the Napoleonic wars it became widespread when the navy was stretched and simply didn’t have enough men to operate their ships. Apparently the practice had initially started in London but over time and as the needs for crew grew, so did its scope. Waterford was a favored spot, given the quantity of trade, and particularly, it seems the Newfoundland cod fishery. Crews for the fishery were drawn from farms, villages and towns across the south east and they flocked to the harbour area to join ships for the cod fishing season on the Grand banks. These were young, healthy and energetic. Perfect for the hungry Press-gangers. The press for seamen still continues here, to the great injury of the trade of this city and the fishery of Newfoundland; several have been picked up lately. Last Wednesday evening the press gang was very roughly treated on the quay, in consequence of their endeavoring to press a man who frequents the fishery of Newfoundland: he (assisted by some female auxiliaries) defended himself with a stick against the attack of the gang, armed with swords, and not withstanding their utmost efforts he got off. By this time a party of resolute fellows assembled, and by pelting of stones soon made the gang disappear. 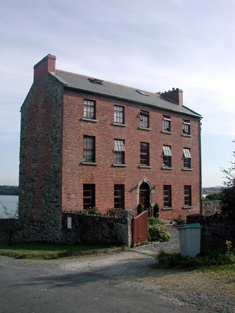 But their resentment did not stop here, for they done considerable damage to the house of Mr Shanahan, publican, on the Quay, where the press gang rendezvous; and had not a party of the army been ordered out to disperse them and prevent further mischief it is probable some fatal consequences would have happened. The Waterford Chronicle Tuesday April 1st 1777. Since the Lord Mayor’s public notice respecting the impressing of seamen within the city the press gangs have not made their appearance in an hostile manner within his lordships jurisdiction. The press gang died out after the Napolonic wars, but the legend of them lived on for generations to come, Thankfully people like my father kept it alive for us. One of my earliest childhood memories was playing with my siblings in the old house on the hill in Coolbunnia one chilly summer morning. The scene was unsettling to us I remember, because our usual/familiar view of the harbour, the three rivers flowing our towards Dunmore and the Hook, was obliterated by an early morning fog. The fog clung in a beady dampness to the sides of the harbour of which we were a part, only Buttermilk at Wexford and the Hurthill on the Waterford shore stood out, But the other feature that I recall was a moaning sound from down the harbour at Hook, A fog horn bleating out a warning to fishermen and sailors, We mimicked it, and our voices echoed back, and soon we were unsure if it was us, or the Lighthouse at Hook making the warning sounds. Hook played another part in my childhood, as the beam, swept across the sky at night and I particularly remember being disappointed that it passed so quickly, much preferring in my mind a slow sweep like some searchlight in a prison camp in movies such as the Great Escape. The Hook, has been a beacon for sailors and fishermen since the 5th C AD. St Dubhan, on founding a monastery at Churchtown saw a need for a warning light and a fire was lit on the tip of the headland. Some say that’s where the name hook, derives from; Dubhan being Irish for a fish hook. 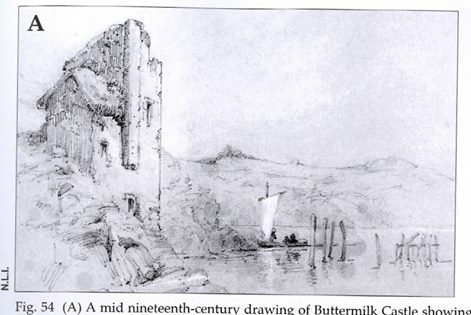 Following the Norman Invasion, and the settling of the country by foreigners, William Marshall saw the need to protect shipping interests and the Hook tower was constructed between 1210-30. Apparently the goodly monks again took on the light-keepers duties. So it remained until the dissolution and routing of the holy orders circa 1540. In the 1670’s the light was reinstated, using coal, but also with a protective screen from the elements. 1791 saw a whale oil fueled lamp instated following repeated complaints from mariners. 1871 saw the introduction of Paraffin but it would be 1972 before electricity finally reached the outcrop. 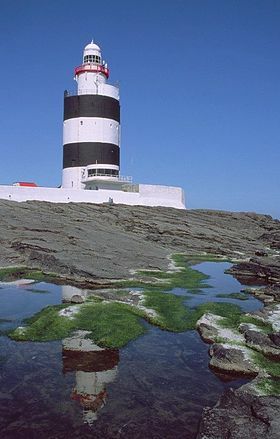 I’m old enough to remember the hue and cry nationally about the automation of the lights and the removal of men from the lighthouses, which finally happened at the Hook in 1996. My father thought it a backward step and fumed about what he saw as accountants making decisions that affect sailors lives. I recall his anger and misery after a family drowning tragedy off Fethard. He was of the opinion that had the Light Keepers been at the Hook that day some lives may have been saved. He was out that day in the same area fishing lobsters. I knew his pain was heightened in that he was reliving his own pain at loosing a son to the water. In 2011, the fog horn was decommissioned, apparently technology can now replace the human ear. At Christmas I noticed the latest change to this wonderful public institution. Someone, somewhere has decided that the strength of light from the hook is no longer required, and now when you walk the harbour the light is only visible from close by. No longer does it sweep the sky at Cheekpoint, and even from the Minaun its a stretch to witness it. If you don’t believe me travel to Dunmore East at dark, and look across the harbour. A weak, meak light is what will greet you. Personally I think its an insult to the history and heritage to the light. I don’t know why it’s happened, but I fear, like my father many years back, that an accountant may be involved. Its still the most magical spot in the South East to my mind. I’ve done the Lightouse tour every year, and we recommend it to anyone who asks where to go for a day trip. The location, the onrushing Atlantic, the sweep of the horizon, the passing fishing boats and ships, the walk to Slade or the loop from Loftus Hall. All combine to make the Hook one of the most wonderful locations in the South East, if not the country. Memories are made from interactions. The more dramatic, the more lasting. Such considerations are not part of the modern day decision making process however (although maybe they never were). I just wish those who have control of the light would have a bit more respect for its history, its purpose and its future. Memories are what draws me back to the Hook, we need to ensure this generation can have those opportunities too. Some might consider this title a mite provocative. Indeed others might think on the date of publication and ponder a connection. However, although it is intended to be provocative, it is in no way a joke. The monuments I refer to are at least a millennium old and are quietly slipping into oblivion. They are the Head Weirs of Waterford harbour and, at this point, are very possibly unique in the world. Firstly, let me define a monument. The concise Oxford dictionary states that “3. an ancient building or site etc that has survived or been preserved” The head weirs certainly fit this definition having been worked over the centuries and regularly maintained by their owners/leasers. What is a Head Weir some might ask. A Head Weir is a method of catching fish which uses the tides to bring the fish to the net. As such in legal terms it is defined as a “Fixed Engine”. The weirs themselves were a V shaped structure. The mouth of the weir is the widest part of the structure. The wings that made the v shape were constructed from straight poles driven by manpower into the riverbed, and held together with horizontal beams. Both wings came together at the “head” from where a net was hung, and it trailed away from the weir. This conical net worked similar to a modern day trawl net. Depending on the direction they faced, weirs were known as Ebb or Flood weirs. An Ebb weir had its mouth facing upriver, and when the tide was leaving the harbour, it flowed through the mouth, towards the head and concentrated the flow of water into the fishing net, in much the same way a funnel would direct fluid into a bottle. As to the age of the weirs, well even locally there is confusion about this. Growing up in the harbour, there was uncertainty about the weirs, because a lot of newer weirs were constructed by the landlords in the early 19th C, a method known as the scotch weir, typified by the construction at Woodstown. Many of the older weirs were amended at this time. 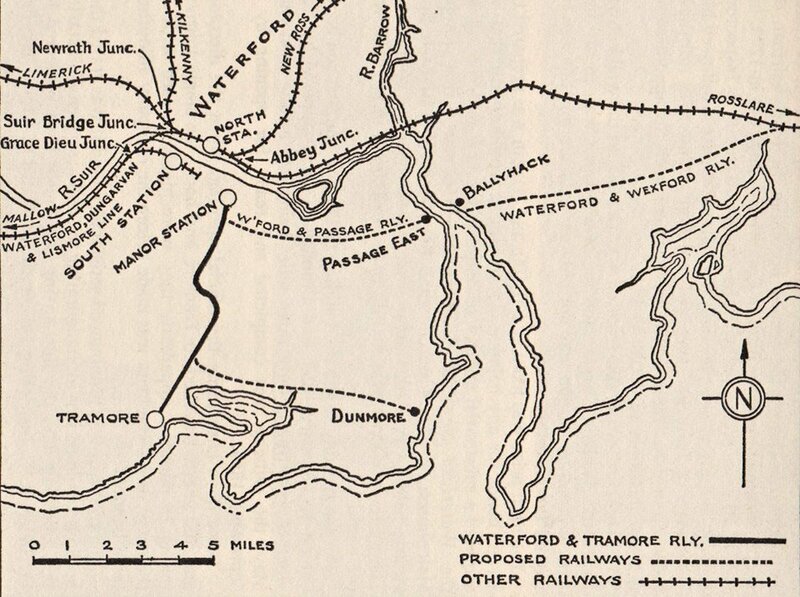 Interestingly some more recent research has indicated an earlier development of weir in Ireland, but not directly a connection to Waterford. It claims that certain structures in the Shannon and in Co Down, were V shaped structures of stone or wood. The dates on these structures are Early Christian and records the earliest to between 447-630AD. It also notes that laws, dating 6-7thC, were written to oversee the use of weirs. Although I have no proof that the Waterford Harbour weirs are a continuation of use back to Early Christian times, I think they are nevertheless a spectacular connection to Ireland’s ancient east. To allow such structures to simply disappear due to neglect and disinterest (principally due to official disinterest) is to my mind a disgrace, Hopefully, the heritage value of the weirs are realised soon. Otherwise we may have just memories, photographs and written words as a basis to our interpretation of them.